Commercial property company Bruntwood has appointed a community engagement manager for flagship workspace Neo. 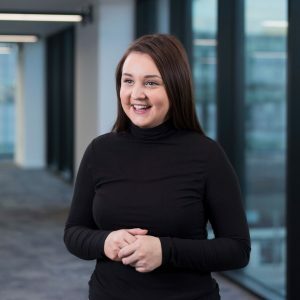 Jenna Gibson has previously worked at Manchester’s Spinningfields for Capital Properties and Allied London, where she managed the programme of experiential and event activities. Bruntwood’s 12-storey Neo, located on Portland Street in Manchester, comprises a range of workspaces from coworking desks and small studios to full floors of 4,500 sq ft with panoramic views across the city centre. Neo, a £8m redevelopment of the former Bank House building, launches later this month.